Feedback from employers of the next generation consistently indicate the growing importance of leadership, communication and critical thinking skills. 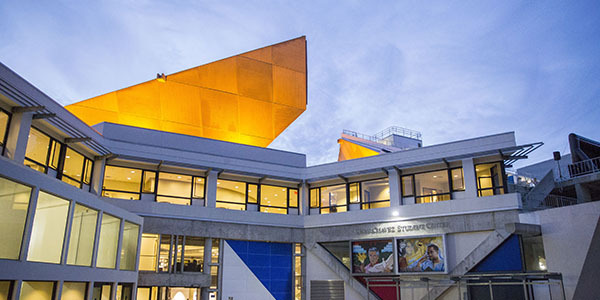 Further, SF State believes in a lifelong continuum of growth and learning, and we believe the journey only begins in college. Selection of a meaningful career and a life with purpose is important for every graduate. As such, the Center would customize evidence-driven best practices designed to provide all students with integrated learning opportunities in curricula and co-curricular programs across the campus to promote career exploration and leadership development in an increasingly global and diverse society. Partnerships with businesses and other organizations will enable the University to further enhance these approaches, which will include workshops, forums, seminars, retreats and other learning opportunities. Critical areas of focus include applied learning in areas of cross-cultural competency, leading and working in diverse teams, innovation and creativity as well as critical thinking and ethical decision-making. The HOPE Fund provides students with essential emergency financial support to support their path to graduation. Guardian Scholars serves former and current foster care youth in pursuing their undergraduate degrees. Project Rebound assists formerly incarcerated individuals in admissions and academic success at the University.